A vital Inca road once snaked its way up the canyon that enters the Urubamba Valley at Pisac. The citadel, at the entrance to this gorge, now in ruins, controlled a route which connected the Inca Empire with Paucartambo, on the border of the eastern jungles. 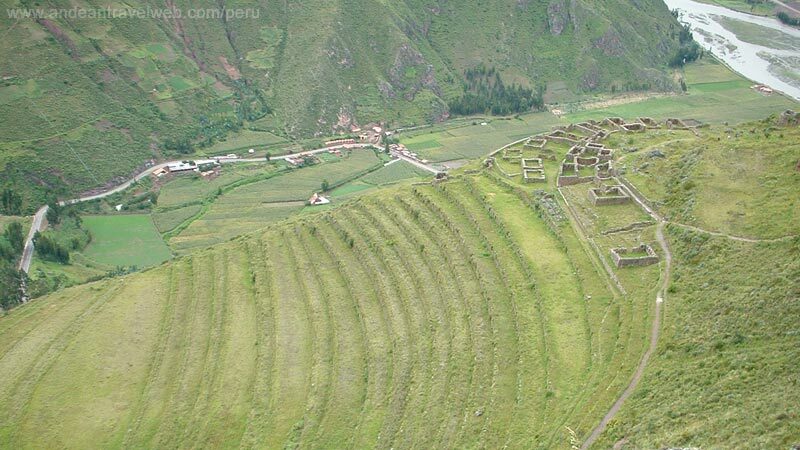 Set high above a valley floor patch-worked by patterned fields and rimmed by vast terracing, the stonework and panoramas at Pisac's Inca citadel are magnificent. Terraces, water ducts and steps have been cut out of solid rock, and in the upper sector of the ruins, the main Sun Temple is equal of anything at Machu Picchu. Above the temple lie still more ruins, mostly unexcavated, and among the higher crevices and rocky overhangs several ancient burial sites are hidden. 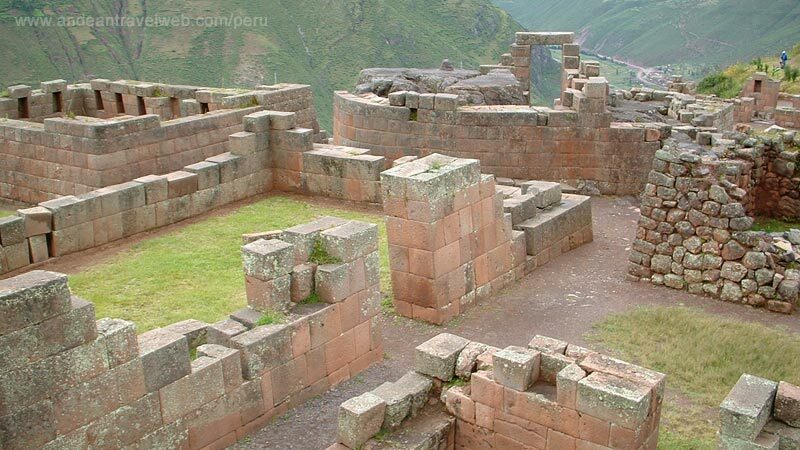 Entrance to Pisac Ruins is included in the Cusco Tourist Ticket (Boleto Turistico) which costs 130 Peruvian Soles and is valid for 10 days (although you can enter each site just once). The ticket is best bought in Cusco but it is also on sale at the entrance to the ruins. 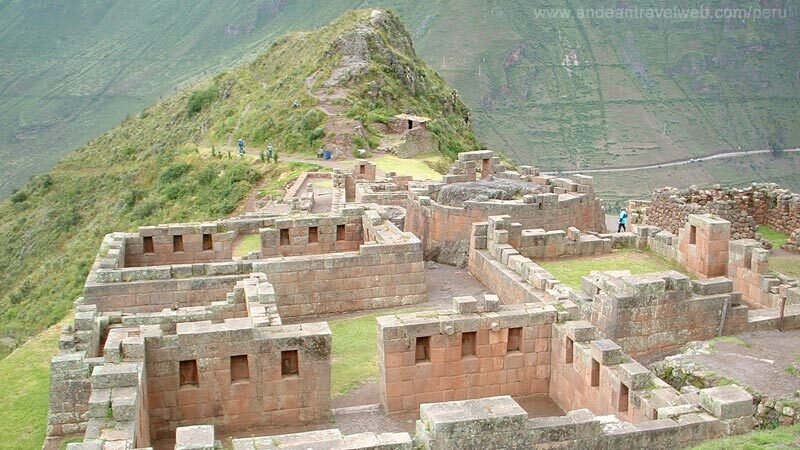 If you don't want to buy the complete ticket you can buy a partial ticket which costs 70 Peruvian Soles and is valid for 2 days allowing entry to Pisac, Ollantaytambo, Chinchero & Moray. A taxi from Pisac town up to the ruins costs about US$10 each way. If it's a nice day then you could consider taking a taxi just up to the ruins and then walking down along a path to the Pisac's main square, it's fairly well marked and takes about 30 minutes. If you just plan on walking up to the ruins follow the path to the left of the church in the main square don't follow the road. Allow at least 2 hours for the round trip.